'Winter' has just started at Tivoli Gardens. It is the amusement parks’ newest season and one of the initiatives that attract even more foreign tourists outside the high season. The revenue at Tivoli Gardens has increased by more than DKK 300 million since 2010. “The combination of tradition and innovation attract foreign tourists,” says the Communications Director. Overall, tourism companies have almost doubled their turnover since 2010. The tourism industry in Denmark is doing very well. Companies in Denmark have managed to increase their revenue more than their competitors in other European countries. A new DI-Analyse shows this. “The number of foreign tourists has increased in Europe, but they spend more money when they visit Denmark. 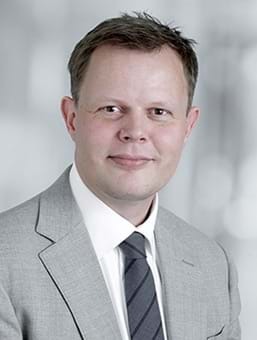 This is a good development we can be proud of,” says Sune K. Jensen, Head of Secretariat for Tourism at the Confederation of Danish Industry (DI). While the number of foreign tourists in Europe has increased by 38 percent and "only" 27 percent in Denmark, the tourism industry in Denmark has managed to earn 42 percent more money than their European competitors' 29 percent. Income from foreign tourists in 2017 amounted to DKK 54.3 billion. This is an increase of more than 42 percent since 2010, according to figures from Statistics Denmark. The revenue at Tivoli Gardens has increased by more than DKK 300 million over the past seven years to just under DKK 1.3 billion in 2017. During the same period, the number of guests in the amusement park in Copenhagen have gone both up—from approximately 3.7 to 4.75 million—and down again to 4.4 million guests. “The number of guests follows neither turnover nor result. Fortunately,” says Communications Director Dorthe Weinkouff Barsøe, Tivoli. In addition to the increased revenue, the communications director is pleased that the number of foreign tourists at Tivoli Gardens in 2017 reached a new record. “39 percent of the guests who came to the garden in 2017 were international tourists. This is the highest percentage we’ve had in recent times,” says Dorthe Weinkouff Barsøe. Tivoli Garden’s Communications Director points out that Copenhagen has been proficient at attracting tourists who spend a lot of money on a holiday. “Restaurants and hotels such as D'Angleterre, Geranium, Noma and Nimb are places where tourists who spend a lot of money, travel specifically for,” says Dorthe Weinkouff Barsøe. She adds that Tivoli Gardens— for example hotel Nimb, which is a so-called boutique hotel—is now aiming to offer a special presence to the discerning guests who enjoy world-class wine and Michelin stars. “We also aim to serve vegetarian and vegan food in our restaurant Gemyse. About one third of our guests use our entertainment, the rest use the garden in other ways. We continuously focus on developing ourselves, so that we always appear relevant. Over the last few years, one of our key focus areas is to activate the periods outside the high season,” she says. One of the new initiatives that will hopefully attract even more foreign tourists, is the upcoming light festival in Copenhagen: Copenhagen Light Festival. “Between 1–24 February 2019, the capital will be dressed in colours from various light events. This is an excellent example of how the tourism industry in Denmark work together,” says Sune K. Jensen, Head of Secretariat for Tourism at DI. “The light festival combines—among other things—design, architecture, lights and classic tourist companies. The canal cruise boats, which usually lies almost completely still February, are all out sailing. It’s as if Tivoli Garden has its own specialized program,” he says. 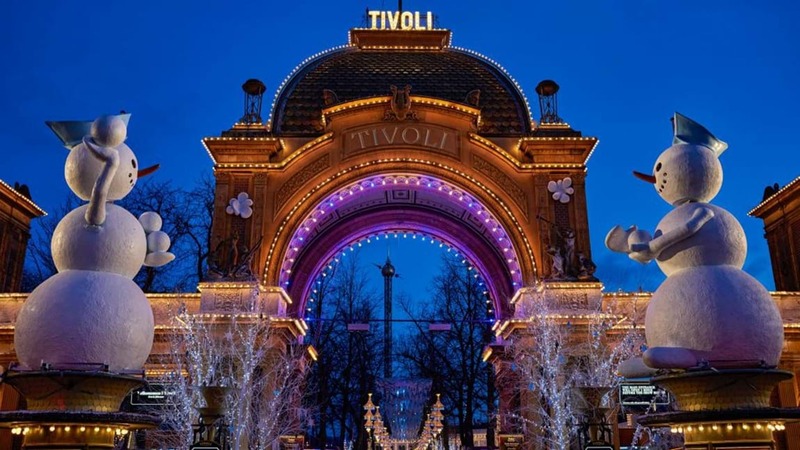 Tivoli Garden’s Communications Director emphasizes that the new initiative “Winter in Tivoli”, which is part of the light festival, has made Lonely Planet highlight Copenhagen as a destination outside the traditional tourism seasons. “I think this is an excellent example of how we can fill even more hotel beds when the tourism industry work together,” says Dorthe Weinkouff Barsøe.